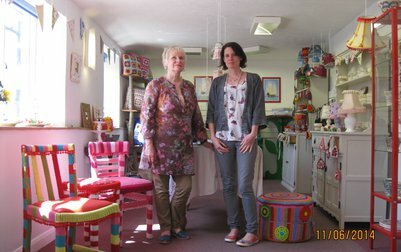 We are Jenny and Amy Rogers, creators of The Artful Rogers. We recently moved from London, where we sold our work at Art and craft fairs and open studios, to start a new life in Devon. We are loving our new home with its natural, beautiful surroundings and are feeling even more inspired to create. We love re-cycling and re-vamping to transform normal everyday objects into fun, quirky, colourful creations that will bring a smile to your face.